[See all nominations here] Monday November 26th 2018 is the last chance to add suggestions to “Course of the Year 2018″. We already got nearly 70 nominations in the comments to the intro article – most of these are high quality courses which will be part of the voting in “Course of the Year 2018″. Based on all the nominated courses, WorldofO’s readers will be asked to set up their personal Top 5 lists. Did you add your suggested course to “Course of the Year 2018″ yet? This is your chance to win great prizes from our sponsors worth a total of more than 6000 Euro! The following rules are given for “The course of the Year 2018″. Suggestions are submitted as a comment to this post – including link to the map with course in a quality which is good enough for the readers to understand the course and the challenges involved. Please add information about location/date if that is not clear from the link provided. Also include which sponsor prize you are interested in if you win (please do check out the sponsor prizes and choose one, it is much nicer to win something you really want!). 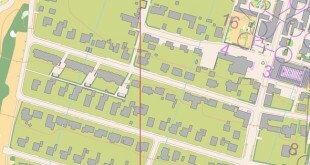 The course may be any foot-orienteering discipline – e.g. a long distance, a middle distance, a sprint distance. It may also be a technical training course – like e.g. a corridor orienteering exercise. There will be a voting process among the readers of “World of O” in order to name “The course of the year 2018″. This is your second chance to win sponsor prizes! Prizes from our Sponsors always makes it more fun! There will be a prize for the first one suggesting the course which ends up becoming “The course of the Year 2018″, and prizes drawn among the ones suggesting and voting. All prizes are transferable to other persons (you don’t have to travel yourself). 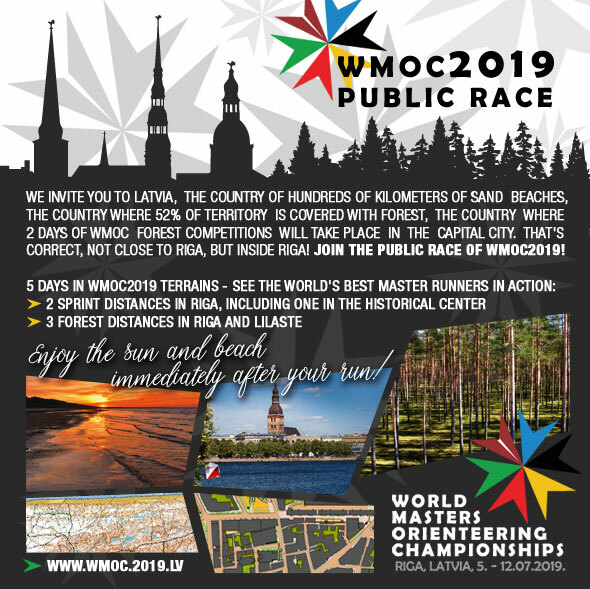 Prize offered: Competition + accommodation package for 2 persons including: 5 races (two sprints in Riga, 3 forest races), accommodation 8 nights with breakfast in twin/double room, 4-12 July 2019 . Total prize value: EUR 820. 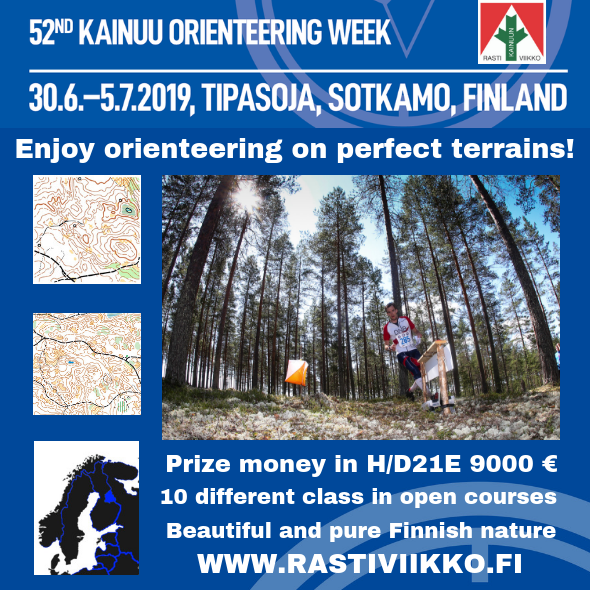 Prize offered: 4 packages, each consisting of 2 free participations for the whole week in any class (competition classes or open courses) at Kainuu Orienteering Week 2019. Total value up to 800 EUR. Transferable to other persons. More information: Kainuu Orienteering Week is the Finlands’s biggest orienteering week and the world´s second oldest orienteering week, as it has been held annually since the year 1966. Kainuu O-Week is held in the Kainuu region of Finland and traditionally the event is held in the beginning of July the week 27. In 2019 Kainuu Orienteering Week will go back to perfect pine forrest and moor terrains of the WOC2013 events. Come to enjoy the orienteering and holiday week for the whole family in the great sceneries and terrains and pure and beautiful nature of Kainuu region in Finland. First entry period will be closed on 30th of november 2018. For more information see www.rastiviikko.fi. 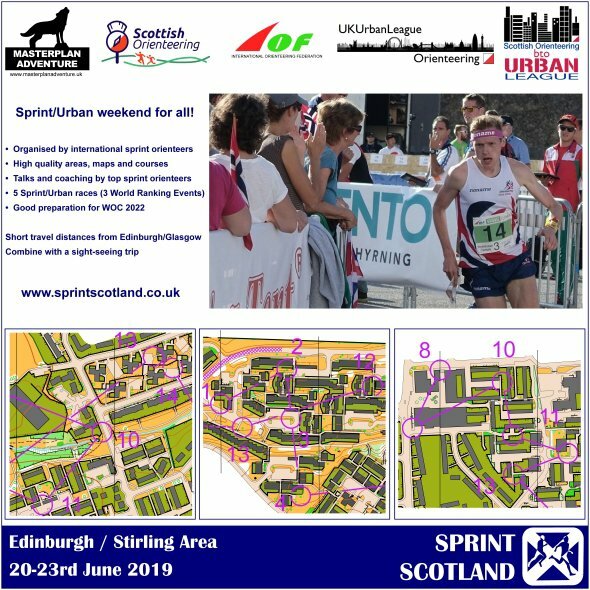 Prize offered: Competition and Training Package – including entry to Lorca-O-Meeting and Costa Calida WRE (6 events in total), 9 nights accommodation in Apartamentos Aixa, and a 8-map package to train on diverse terrains between the 2 events. Value about 680 Euro. Transferable to other persons. 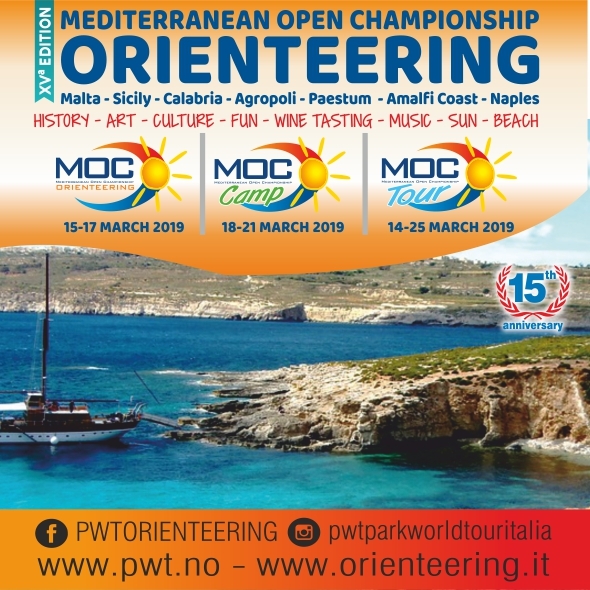 Prize offered: Competition and hotel package for two persons: Entry for two person at the 15th anniversary of MOC Mediterranean Orienteering Championship in Malta, including 3 nights accommodation half board. Value about 650 EUR. Transferrable to other persons. 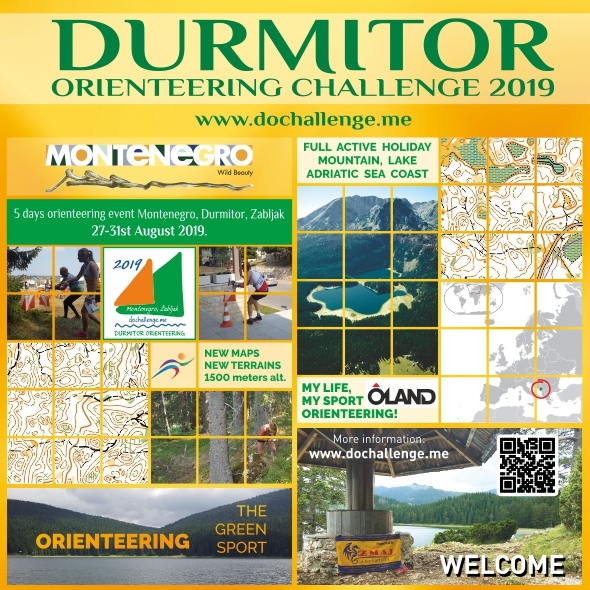 Prize offered: 2 packages – each for 2 people– consisting of: Entry to complete 5 Day Durmitor Orienteering Challenge, + 2 x 2 special T shirts „My life, my sport-Orienteering“ product of Oland. Total value about 620 EUR. Transferable to other persons. 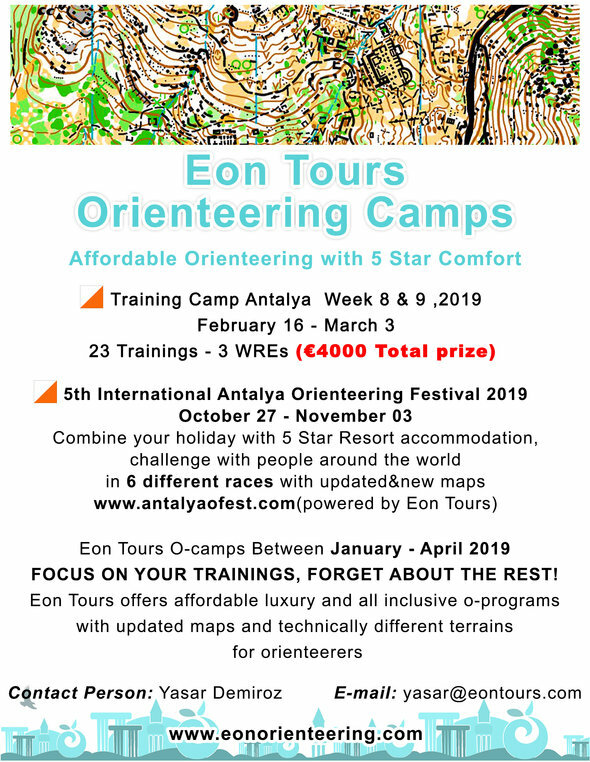 Prize offered: One Big Antalya O-Meeting package consisting of 1 complete Antalya Orienteering Festival package: Accommodation + Entry for all 6 races for one person. Value about 540 Euro. Transferable to other person. Prizes offered – 2 complete packages for 2 people each – All training / races + event t-shirt. Total value around 400 EUR. Transferable to other persons. 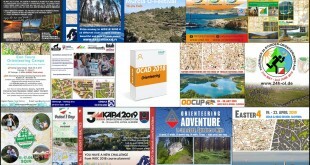 Prize offered: One 3-year licence for the software “OCAD Orienteering″. Value about 350 EUR. Transferable to other person (before activation). 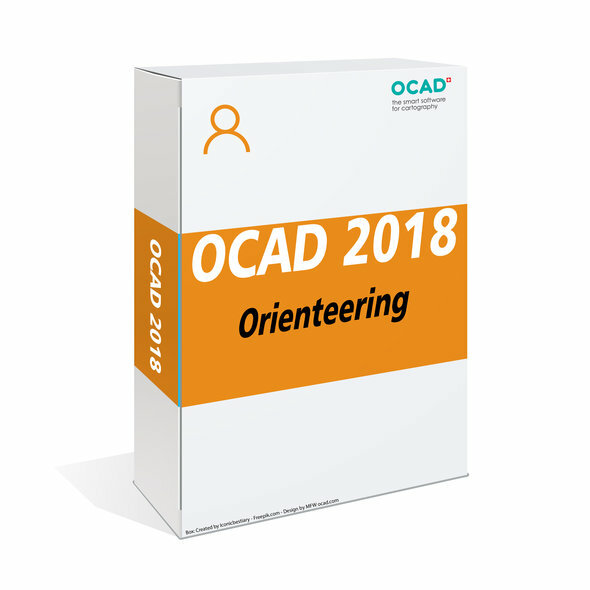 More information: OCAD 2018 Orienteering – Perfect to Produce Orienteering Maps. This edition is dedicated for orienteering map making with a step-by-step wizard for analyzing of LiDAR data, mobile geodata capturing, smart editing and drawing tools, generalization tools, desktop publishing, course setting and much more. Read more at ocad.com. Prize offered: 2 packages – each for 2 people – consisting of: Entry for the complete 5 days OOCup competition plus OOCup 2019 T-shirt for each competitor. Total value around 325 EUR. Transferable to other persons. In 2019 OOcup goes back to where it all started back in 2002. Stunning orienteering areas around Soriška planina will deliver memorable orienteering challenge for everyone. 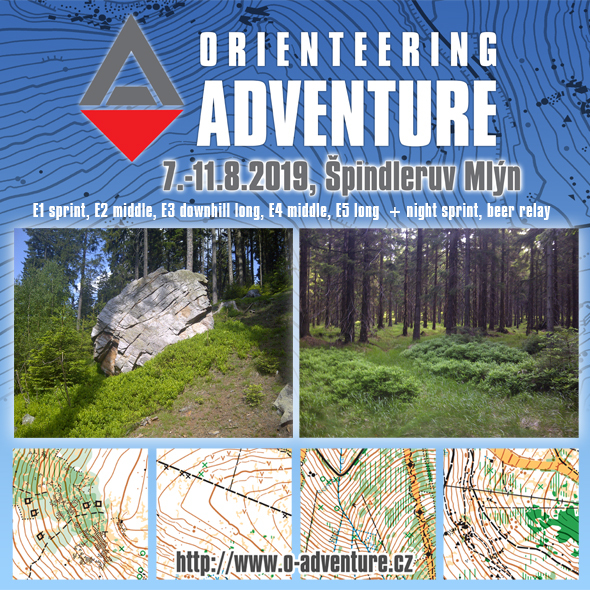 Even though Soriška planina is well known among orienteers, we’ve mapped a lot of new exciting areas, so there will be plenty of unseen for all participants. Gorenjska region with Lakes Bohinj and Bled and Triglav national part is considered as the most beautiful part of Slovenia by many. More at oocup.com. 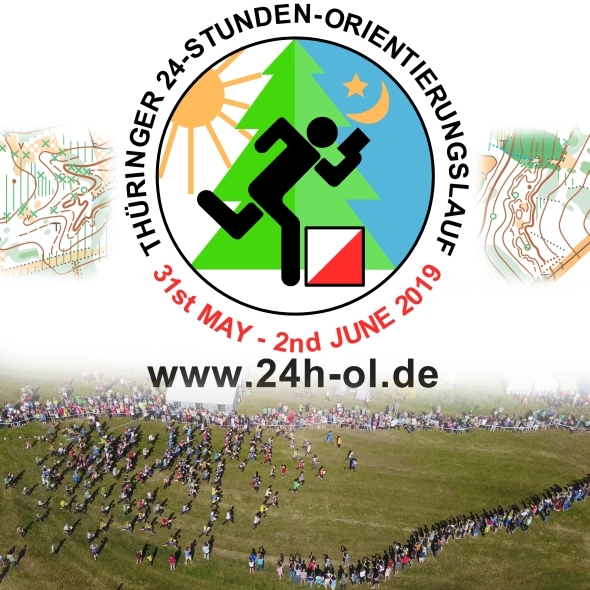 Prize offered: Two packages, each package consists of one 6-person team for the 24-Hour-Orienteering Relay (min age 15) and one 4-person team for the youth relay. Included in the 24-Hour Relay is also opening party, parking, camping and open-air swimming pool. Total value about 300 EUR. Transferable to other persons. 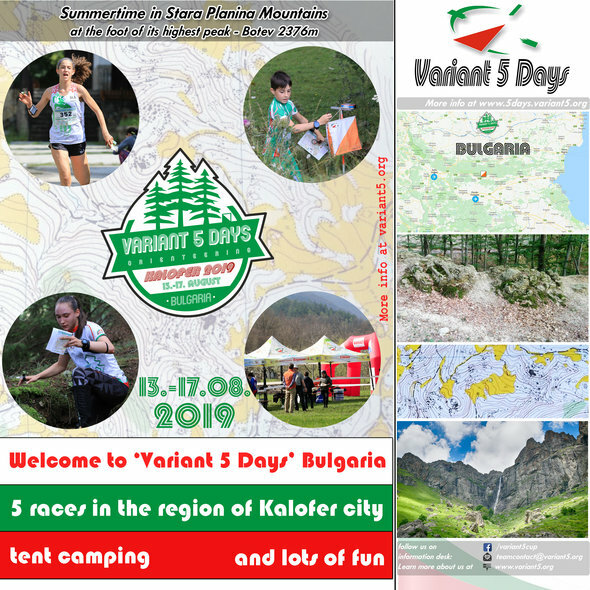 Prize offered: Package for two persons consisting of entry fee and accommodation for Variant 5 Days 2019 – 5 days of orienteering in Stara planina mountains, Kalofer, Bulgaria. Value about 270 EUR. Transferrable to other person. Enjoy an unforgettable orienteering holiday in the beautiful nature of Bulgaria.Five races in mountain terrain including a chasing start. Variant 5 Days is an affordable way to experience and explore the Stara Planina mountain region near Kalofer, just below the highest peak of the mountain – Botev, 2376m asl. Besides the great terrains there are many sightseeing options around including mineral pools, which makes it a perfect place to visit during the summer of 2019. Plan a trip to Bulgaria now and you will have a splendid vacation in August. Find out more at http://5days.variant5.org or email us at teamcontact@variant5.org. Visit also our facebook page at: com/variant5cup. Prize offered: Two family entry packages to Kapa 3days, where each package includes entry for two adults and one child, space for a tent at the event camping and a car parking voucher. Total value around 250 EUR. Transferable to other person. Prize offered: Entry fee for two persons with accommodation in hotel Lenka in the event centre during the competitions (6th -11th of August). Value: 250 EUR, transferable to other persons. Note that the package is available only until the first entry deadline (April 30th 2019). 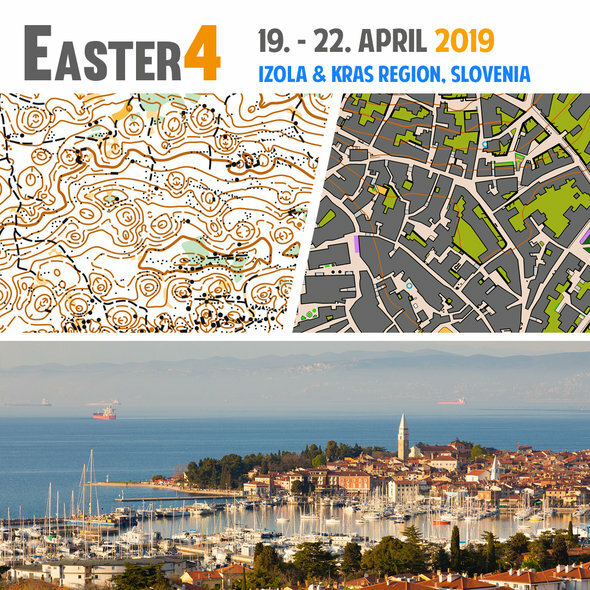 Prize offered: One package for 2 people – consisting of: Entry for the Easter4 competition in the beautiful Izola & Kras regions, Slovenia + accommodation in pension (B&B). Value about 250 EUR. Transferable to other persons. After the 2018 edition on Cres island, in 2019 we go back to Slovenia. The race will be organized by the same team and quality standard as you might be used to from Lipica open, OOcup and Bubo cup. 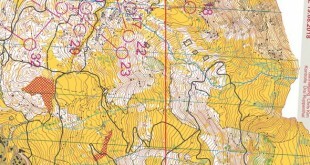 Excellent mixture of tough karst terrain and one Sprint stage, partly on newly mapped areas. Did you know that Swiss star Simona Aebersold took part in all 3 editions so far? More at easter4.com. Next Vote for Course of the Year 2018 Now! Another challenging sprint race from the last year winner of the urban course of the year. Tricky urban area with number of interesting routehoices. Kyiv, Ukraine. Here are better versions of Grövelsjöorienteringen. Sorry I didn’t read it earlier!